Abbey Logistics Group, the UK’s largest bulk liquid & powder food transport provider. Abbey Logistics Group is a leading bulk tanker logistics service provider and one of the UK’s most recognised and respected transport brands. 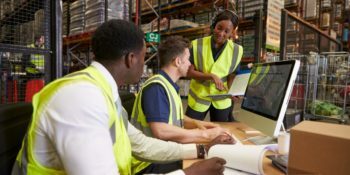 Since our foundation, Abbey has developed an enviable reputation as a company dedicated to supporting our customers’ businesses and developing long lasting partnerships based on trust, transparency, dependability, high performance and a can-do spirit that resonates throughout our company. Our positive and innovative outlook allows us to solve our customers’ problems and help propel their businesses forward through sustainable efficiency gains, flexibility of approach and a commitment to the highest quality operational performance. We achieve this through our nationwide depot network, our large diverse fleet of modern vehicles and a world-class team of industry experts all dedicated to providing a best in class service experience. Our successful approach has enabled Abbey to grow significantly; allowing us to broaden the services we provide and the number of customers we support. 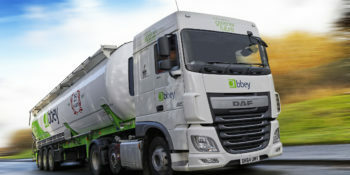 Abbey Logistics Group is now the UK’s largest bulk liquid and powder food transport provider, serving some of Europe’s largest manufacturers. In addition to food grade products, we provide transport and logistics services to many other sectors; including plastics, non-hazardous chemicals, animal feed, minerals, cement and aggregates; together with warehousing, European distribution and intermodal logistics through our fleet of ISO tank and silo containers. Abbey’s energy and drive to provide the best standard of service to our customers has created a game-changing logistics business which supports and develops our customers’ operations whilst creating a competitive advantage for them in their specific markets. Get in touch and find out how we can help support and drive your business forward. Abbey acquires Armet Logistics a leading food logistics company.